MegaCon is the biggest gathering of everything geek culture in Central Florida, and this weekend it will roll in with a vengeance. From exclusive merchandise, artists, celebrities and displays, there’s a lot to get excited about, but the thing we look forward to most every year are the panels. This year is no exception, as MegaCon will host some of the biggest names…well anywhere. The panels range from being amazingly timely to just amazing. Here’s the list of panels we’re looking forward to the most. Join the stars who portrayed Frank Poole and Dave Bowman in Stanley Kubrick’s science fiction masterpiece, 2001: A Space Odyssey (1968). Hear behind the scene stories of the making of the movie and more! Everyone knows Veronica Taylor was the voice of Ash Ketchum – but did you know she’s also dozens of other characters including April O’Neil (Teenage Mutant Ninja Turtles) and Sailor Pluto (Sailor Moon)? Learn more about the actress and her variety of roles in anime and cartoons! Please join Tom King (Batman, Mister Miracle, The Vision) for an entertaining and enlightening look at his career and what’s coming up next! MegaCon is excited to welcome some of the biggest names in the WWE live to the stage! Join and hear from Alexa Bliss, Braun Strowman and Shinsuke Nakamura as they take MegaCon by storm! You might know Sean Schemmel as the voice of everyone’s favorite wild haired warrior, but did you know that he’s also voiced a multitude of other anime, cartoons, and video games, too? 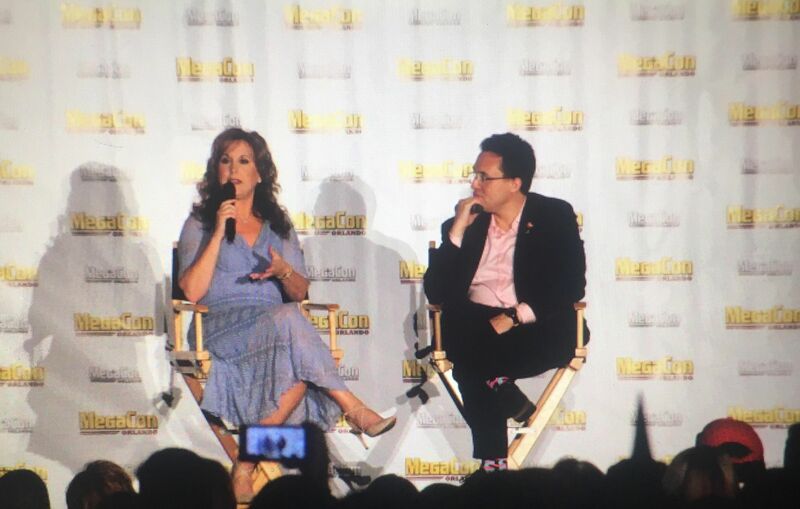 Moderated Q&A about Sean’s work in the professional voice over industry spanning almost two decades! This isn’t a nightmare, no, it’s more like Christmas because Chris Sarandon will be answering your questions! Sarandon is best known for his roles as Leon in Dog Day Afternoon, Jerry in Fright Night, Prince Humperdinck in The Princess Bride and as the voice of Jack Skellington in The Nightmare Before Christmas. Don’t be a Humperdinck and join Chris for a magical Q&A! “Billy Dee” Williams is an American actor, artist, singer, and writer. He is best known for his role as Lando Calrissian in the Star Wars film franchise. Williams has also appeared in critically acclaimed films like Brian’s Song, Lady Sings the Blues, Mahogany, Nighthawks, and Batman; in which he played Harvey Dent. Wallace Shawn is best known for his roles as Vizzini in The Princess Bride, Mr. Wendell Hall in the teenage staple Clueless, and as Rex in the childhood classics Toy Story’s 1, 2 and 3. Wallace’s career spans nearly five decades and he is an accomplish actor and playwright. To miss this Q&A would be simply inconceivable! He’s a 16-time World Champion, five-time U.S. Champion and record-setting Make-A-Wish granter. He’s released a hit album, starred in blockbuster movies, proposed to Nikki Bella in the middle of WrestleMania and — more than a decade into his WWE tenure — he hasn’t slowed down a step. You don’t need to prowl the streets of Hell’s Kitchen to get a glimpse of Daredevil, you can see him at FAN EXPO Dallas! Matt Murdock himself, Charlie Cox, will be taking your questions and giving all the details of what its like to be your favorite leather clad crime fighter. A rare Q&A session with Once Upon A Time star Jennifer Morrison! Join us as she shares behind the scenes stories about making the show and other highlights of her amazing career and takes some questions from the audience. Jewel Staite is a Canadian actress. She is known for her roles as Kaylee Frye in FOX television series Firefly and its spin-off theatrical film Serenity, and as Dr. Jennifer Keller on Sci-Fi Channel’s science-fiction television series Stargate Atlantis. Staite has also starred in her youth as Catalina in Space Cases and as “Becca” Fisher in Flash Forward, and more recently as Raquel Westbrook in the Canadian drama The L.A. Complex and Caroline Swift in AMC’s crime drama The Killing. Joonas Suotamo is a 6 ft. 10 in Finnish actor and basketball player known for his role as Chewbacca in the Star Wars saga, taking over the role from Peter Mayhew starting with Star Wars: Episode VII – The Force Awakens. Join Joonas as he speaks about his experiences on the movie set and life on and off the big screen! The CW has another hit on their hands with the success of Black Lightning, a superhero television series based on the DC Comics character of the same name. Come and hear from stars Cress Williams, China Anne McClain and Nafessa Williams, as they ramp-up for work on Season Two! Definitely not known for his feature film debut as a video game playing kid in Back to the Future Part II, Elijah Wood has been seen in many memorable roles, including starring on TV shows such as Wilfred and Dirk Gently’s Holistic Detective Agency, voicing animated characters on Tron: Uprising, Happy Feet and 9, and on film in Deep Impact, sin City, and of course as Frodo Baggins in the Lord of the Rings trilogy. Join us for a session with this busy actor, artist and DJ as we return to Middle Earth and worlds beyond! You’ve never seen a mermaid this close before. Someday (TODAY!) you’ll be part of her world! 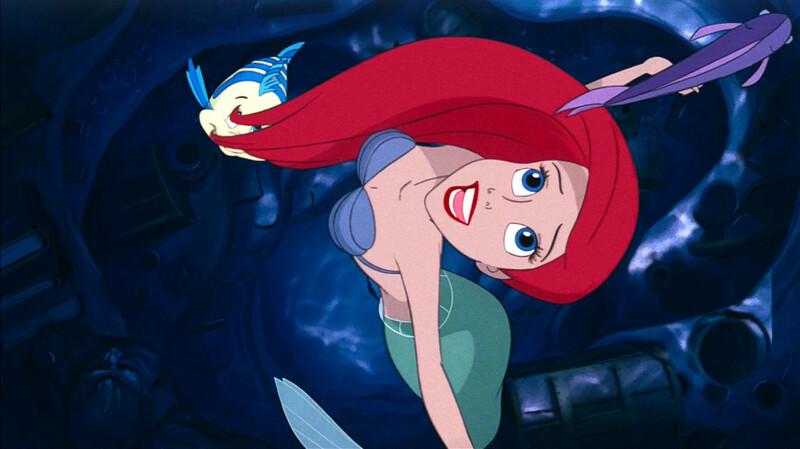 Come spend some time Under the Sea with the girl who IS everything to Disney fans: The Little Mermaid herself. It won’t cost much, just your voice! Stephen Moyer is an English film and television actor and director who is best known as vampire Bill Compton in the HBO series True Blood. Moyer made his big-screen debut landing the lead role in the film adaptation of the long-running comic strip Prince Valiant by Hal Foster, working alongside Ron Perlman and Katherine Heigl. His latest role is, Reed Strucker in the new Fox series The Gifted. As you wish! The Princess Bride dreamboat Cary Elwes will be taking your questions and revealing what it was like to fight for Buttercup’s affections! Elwes starred as Robin Hood in the comedic masterpiece Robin Hood: Men in Tights, as Dr. Lawrence Gordon in the genre changing horror classic Saw and as Westley in The Princess Bride. Amy Jo Johnson is a singer and actress best known for her roles in Mighty Morphin Power Rangers, Felicity, The Division, and Flashpoint. Join her as she relives her days as the Pink Power Ranger. There’s so much more happening all weekend, from different sessions on creating costumes to contests and more panels than we can keep up with! Tickets are on sale now! Be sure to stay tuned from the latest from Disney, and be sure to get social with us on Facebook and follow along with us on Twitter @BehindThrills for the latest updates! For more information about MegaCon, including tickets, visit the official website by clicking here!